Starting in Sept. 2017, VINCI School Ottawa will also offer its STEM focused Elementary program. In a mixed age group with children ranging from 5-6 years old, students are offered a Montessori-like setting, which is characterized by Freedom of Movement (within the limits), Guided Choices, Periods of Uninterrupted Inquiries, and Meticulously Arranged Materials. 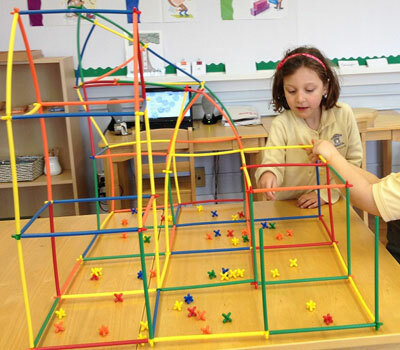 Beyond Montessori, specific time periods are allocated for collaborative and project-based learning, with the emphasis on expression and reflection. Story-telling, open-ended inquiries, and presentation of ideas encourage students to become confident and independent. On average, each student spends 5 hours a week learning Math, 5 hours in English Language Arts, 5 hours in a Second Language, 5 hours in Science, Engineering & Arts.